Appearance (0-20): The initial impression is the beautiful dark maduro wrapper. Appealing to the eye, it grabs your attention with the bright red double band as well. The perfecto shape is tapered perfectly, with no real flaws. There are some small veins running through the wrapper that are a lighter brown color, yet offer no hindrance in the smoke. Construction (0-20): Each part of the cigar was nicely pack, without a single pocket. After clipping off the cap, there were absolutely no clippings that fell off. One swift cut, and the cigar was ready to smoke. The shape made it easy to light, giving off a smooth draw as well. The wrapper was toothy, which is also prominent in the ash. The ash held on for a solid inch or so, and was very white and wavy. Strength (0-20): Listed as a med-full smoke, I would rate it closer to the medium scale. Some people may feel a nicotine zing, but I felt that it was more of a relaxing and flavorful cigar. Flavor (0-20): The first half inch is a quick hit of spice, and then immediately moves into cocoa and espresso. These two flavors really dominate the cigar, and blend together very well. You may find a touch of woodiness, but no other spice that is notable. 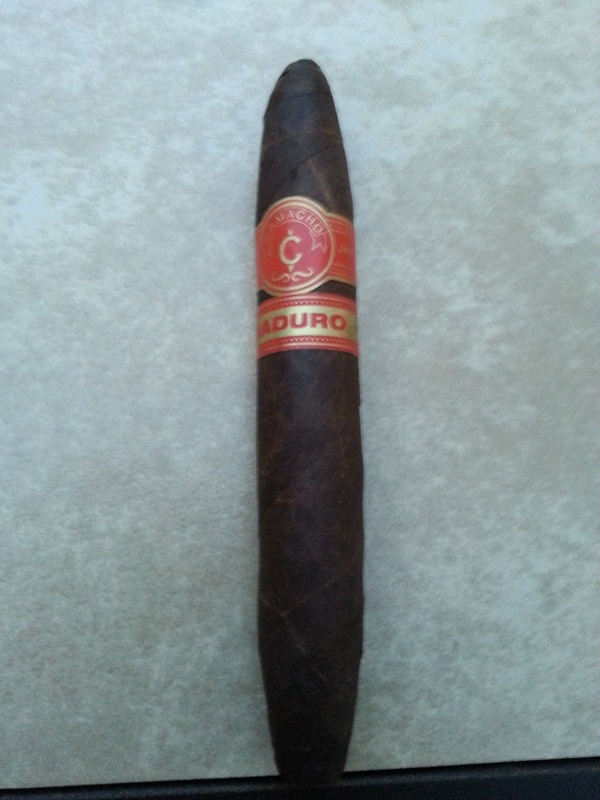 When comparing this to the Camacho Triple Maduro, this is more pleasant to me. 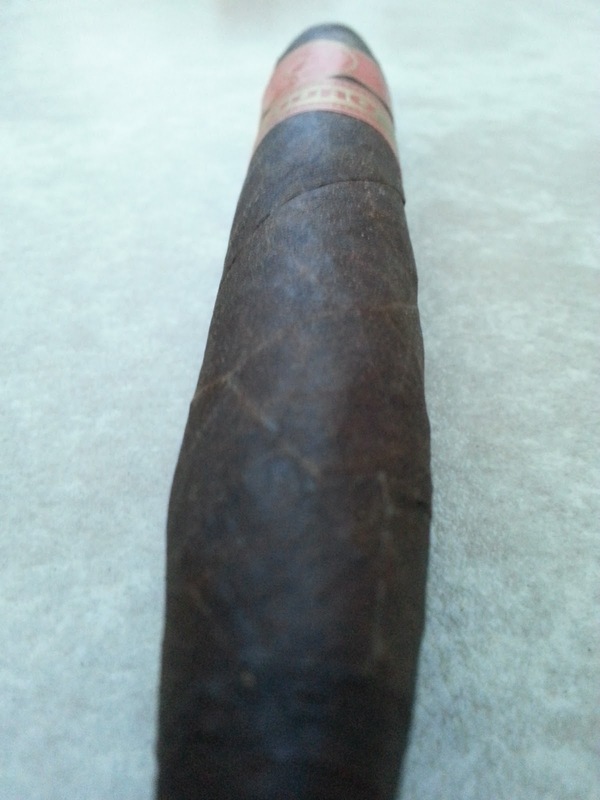 The Triple is a different smoke in its own right, but it is richer and has more of a bitter dark chocolate flavor. Value (0-20): For $6.00, the number is about spot on. The cigar burned for over an hour easily, and all of the categories were above average. Camacho isn’t a brand that I have smoked a lot, but this is one that I would turn to. Additional Notes: Smoked on my deck with water. Overall (0-100): From start to finish, everything was well done. The cigar looks good, burns well, and most importantly tasted good. The flavors were very consistent from start to finish, and the blend. Personally, I like to have a bit more spice with a cigar that has sweet coffee and cocoa notes, but this was still enjoyable. 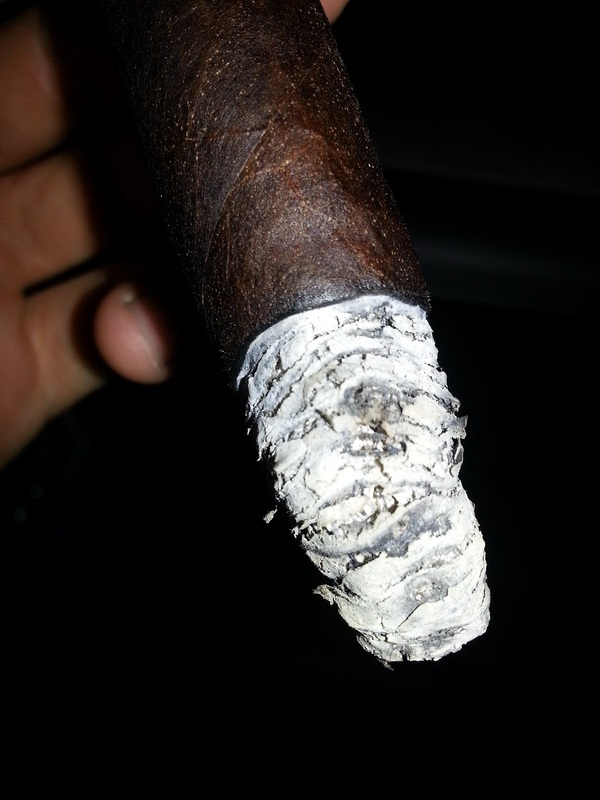 Another positive cigar!